Yellowcard have announced they’ll split after nearly 20 years as a band. The Florida punk outfit issued their debut album Midget Tossing in 1997 and will release their self-titled 10th album on September 30. 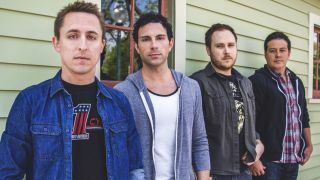 But following the studio release and a world tour, Ryan Key, Sean Mackin, Ryan Mendez and Josh Portman will go their separate ways. The band have announced shows in the US, UK and Europe – with Australian and Japanese dates to be revealed in due course. Yellowcard have also issued a video for their track Rest In Peace. Hear it below.